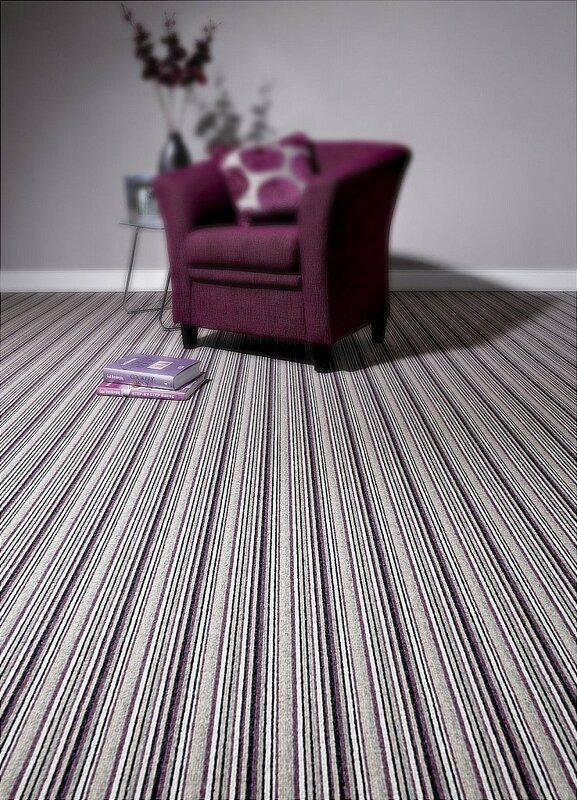 Part of our hugely popular Tube Collection, this is a narrow multi-stripe offered in three colourways: Marylebone, which is a mix of neutral browns, greys and beiges: Regents Park, which adds a hint of mulberry into the mix: and Baker Street, with a touch of fashionable plums. It is a fine gauge loop quality in 100per cent three ply Pure New Wool, with a pile weight of 1040 g/m2 and a tog rating of 1.5. For maximum flexibility and cost-effectiveness, its available in one, four and five metre width options. It is suitable for heavy domestic or heavy contract use, being anti-flam and anti-static, with the additional benefit of Scotchgarding, to ensure full versatility of application. I would like more information about Bakerloo Carpet by Telenzo.